Keep your pet safe this holiday season. Fa la la la another holiday is on the way, and Liberty Veterinary Hospital wants all of you to have a safe and happy holiday. I hope you remember the tips from last month on food safety, candle hazards, and stress of company on your pets. They will come in handy this month too as more holiday celebration is underway. I know how you humans love to decorate and have family and friends over to celebrate. But don’t forget to keep an eye out for your fur babies in the house as well. Some decorations to watch for are fallen pine needles that can puncture pet’s intestines, trees if you have climbers or wild ones in the house, and ornaments of course. 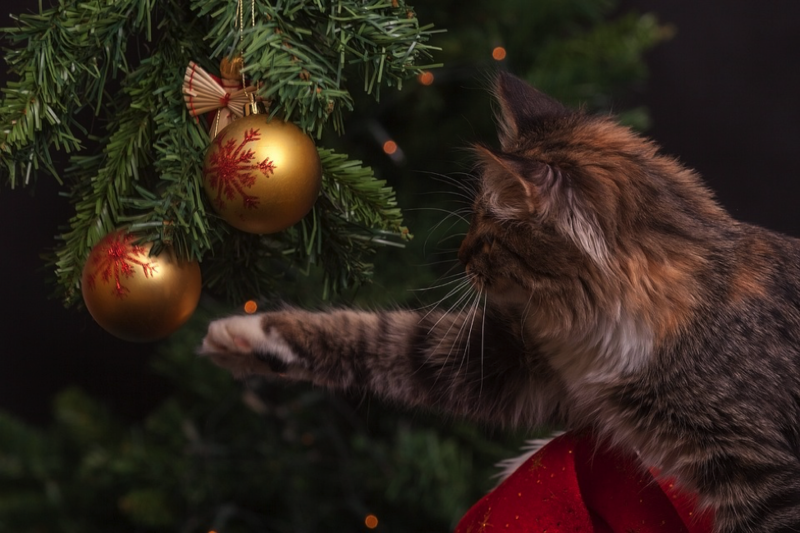 Ones that can break easily or ones that have a string that can wrap around your pet’s intestines should be placed higher on the tree out of your pet’s reach. For a full list of all holiday safety reminders be sure to visit libertyvet.net, and come back next week for boarding information for those pets who can’t travel with you this holiday.